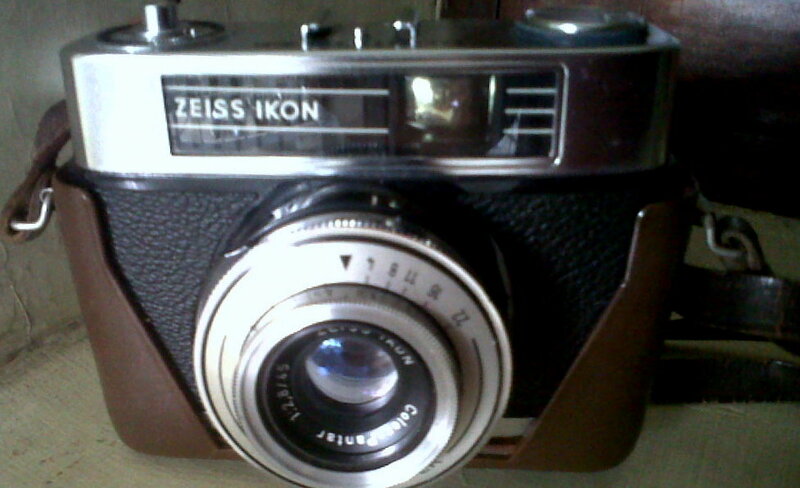 Then: A camera from yesteryear, stored carefully at home!!! The ultimate! Dying to fix it and use .. Saw this video today on Facebook that reminded me of how valuable and beautiful FRIENDSHIP is.... Just wanted to share it here!! Thank you to all my FRIENDS.... I sure have been lucky in finding you !!! Hugsss!! We chant this prayer , receive blessings and then begin any new task- it could be going to school, starting work, a new home, birthday, and just about everything else in life!! 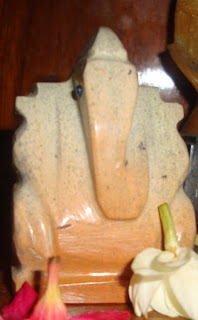 The elephant God or Ganesha is the most preferred God by many, including yours truly! Meaning: He who has the face of an elephant, one who is worshipped by the Bhooda ganam, He who eats the essence of kabitha and Jumbu fruits, He who is the son of Uma Devi and He who alliuiates the ill fellings in us. O! Lord Vigneshwara who is an embodiment of all the above, we offer our Namaskarams at your Divine feet. "The whole cosmos is known to be the belly of Ganesha. Parvati is the primordial energy. The seven realms above, seven realms below and seven oceans, are inside the cosmic belly of Ganesha, held together by the cosmic energy (kundalini ) symbolized as a huge snake which Ganesha ties around Him. The mouse is nothing but our ego. 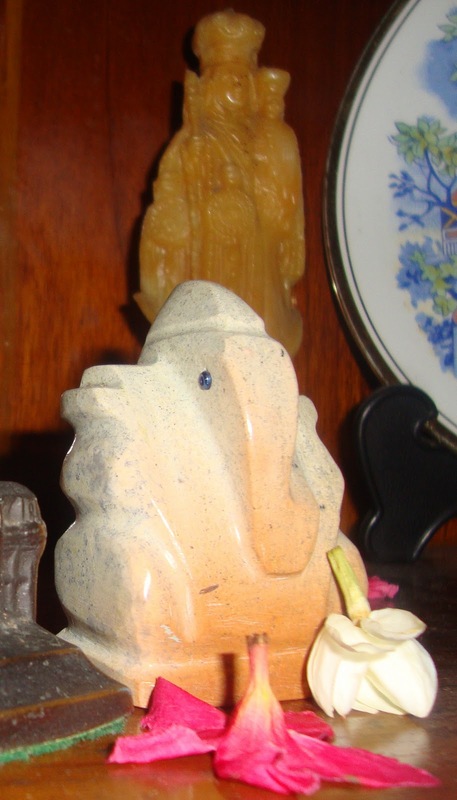 Ganesha, using the mouse as a vehicle, exemplifies the need to control our ego. One who has controlled the ego has Ganesha consciousness or God-consciousness." We chant this prayer , receive blessings and then begin any new task- it could be going to school, starting work, a new home, birthday, and just about everything else in life!! The elephant God or Ganesha is the most preferred God by many, including yours truly! He is my friend, foe and family... There are times when i am ranting raving, and other times when am cursing him for something that happened.. And ofcourse there is the joy of sharing good news with him as well!! 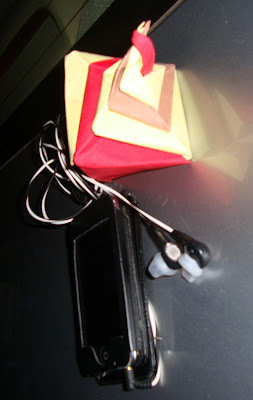 Did i mention i also collect Ganesha? yep!! "Ganesha is also known as first worshipped God of Hindu. 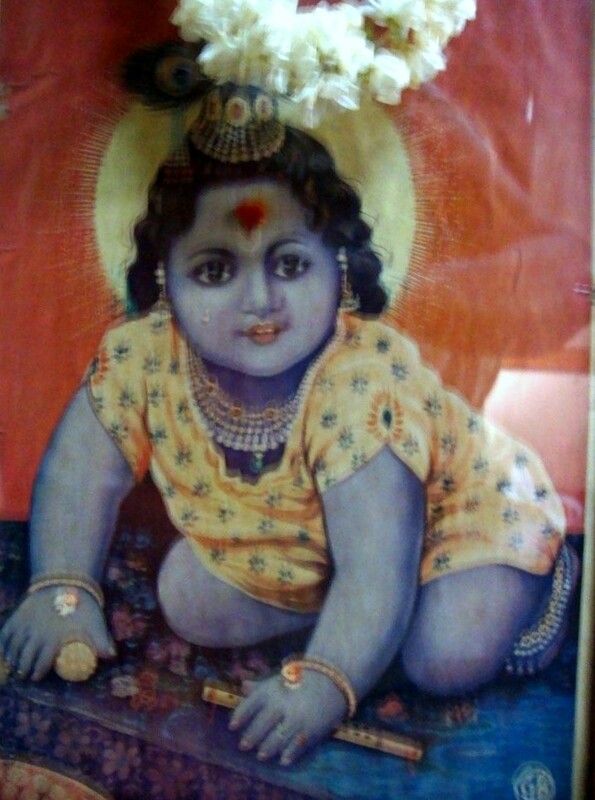 He is the god of wisdom and success. For the fulfillment of desires, the Ganesha’s blessing is very essential. There are numerous stories in Hindu legends are connected with Ganesha, the birth of this elephant-headed god whose vehicle is the Mooshak (rat) and who loves Modaks. 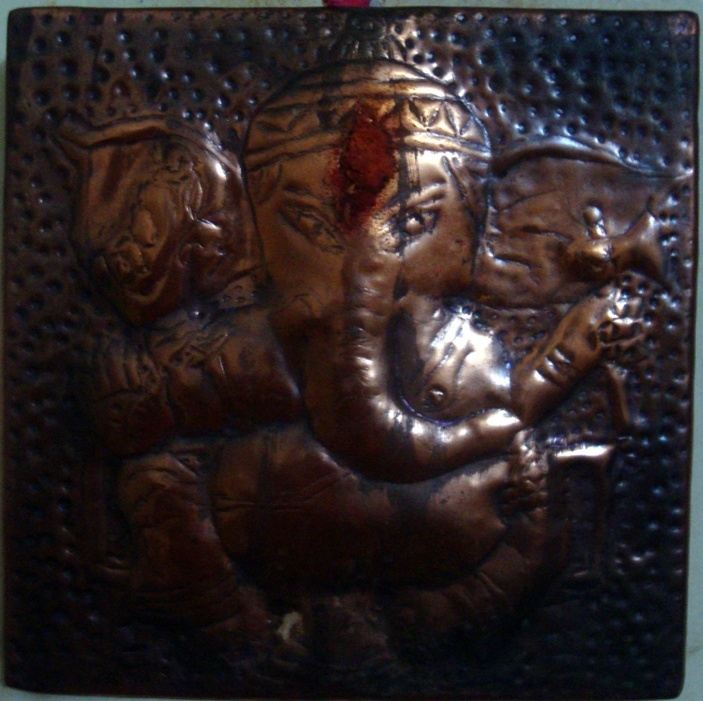 According to one legend, Parvati formed Ganesha from the sandalwood dough which she used for her breathed life into him. When she went to have her bath, he stood as guard at the door. 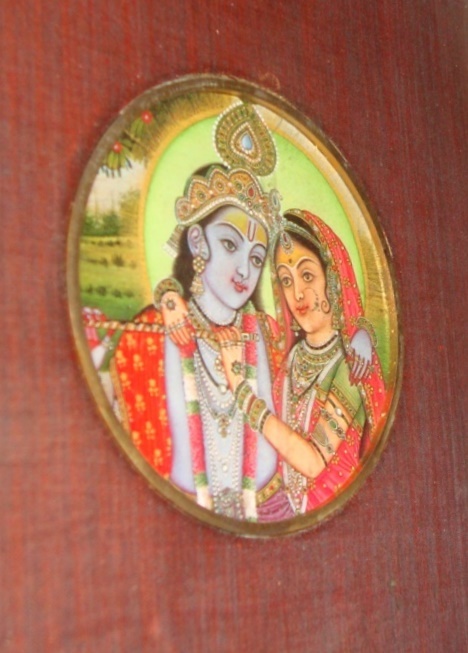 When her husband, Shiva arrived the child who had never seen him stopped him. That time Shiva became angry and severed the head of the child and went in his house. When Parvati knew that her son was dead, distraught, then she asked Shiva to revive him. 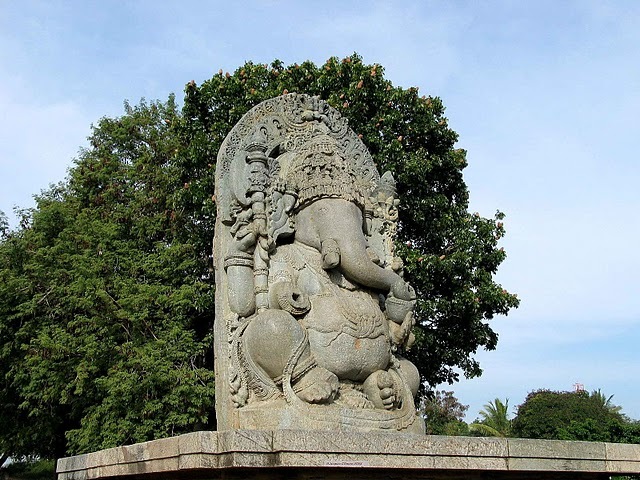 So, Shiva cut off the head of an elephant and set it on the body of Ganesha." I made the lunch, a simple one at that!! All these pictures were taken at home.. of idols scattered across the rooms!! There are more, but alas, my camera batt died.. will click and upload rest tonight!! Have a Lovely Chathurthi and weekend all!! Last evening Lakshmi called to tell me about a song she heard as she walked into a restaurant... and we knew that the same thing/instance/person was running in both our heads at the same time!! Similarly, there are days when i am watching a scene from a movie, or walk by a particular store, or pick out a certain dress! 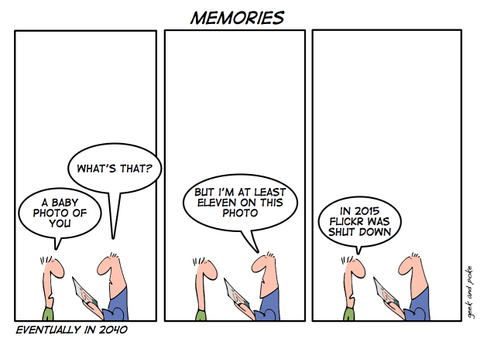 I know most of us go through these moments of Deja vu, but i keep wondering if there is a way of deleting/erasing the not so good ones and just retaining the good ones!! The other day my friend called from Amsterdam to invite me to his daughter's 1st Bday.... I've known him since 3rd std!! Mentioned this call to mom, and for the next hour it was all Flashbacks!! The days me and my friend would sit around talking, how he came home everyday with some little trinket when i was hurt and recuperating and the bike ride he took me on the day of my cousins' wedding in Blore! Another instance was the conversation i had with gramma few days ago when she was making Dosas for dinner... we were randomly talking about things, and the topic of my aunt popped in... Gramma's Sis... she is ailing from breast cancer, we thought it was over and she was on path to recovery, but then somethin gor the other kept happening, a boil here, pain there... Anyways, we got to talking about how long she'd been ill, when she finally confessed it to her hubby and then to us[ she'd hidden it for a whole year from all] and how twisted life is.... Remembered another aunt passing away cos of cancer, gramma's bro passing away all of which happening just before this aunt's illness came to light.... gramma got quite upset and was quiet for a while, till i changed the topic and distracted them... Am sure the sleepless nights she spends are cos of all these worries! Sigh!! !